In order to ensure timely and effective completion of works, different wings viz: Civil/Electrical/Mechanical/Architectural/Horticultural work together in Public Works Department. The organizational structure has six tier hierarchy i.e., Engineer-in-Chief , Chief Engineer, Superintending Engineer, Executive Engineer, Assistant Engineer and Junior Engineer. The Architectural and Horticultural units are headed by Senior Architect and Dy. Director (Horticulture) who work under the zonal Chief Engineer. 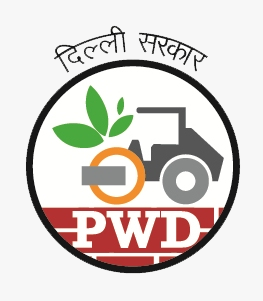 The Administrative head of PWD Delhi is Principal Secretary (PWD) Govt. of NCT of Delhi. Traversing a long journey from a 'provincial division' of CPWD in pre-independence era a separate zone was created for Delhi Administration on 20th June, 1961. The growth of organization & its activities has continued in a steady manner. In its present outfit PWD Delhi is headed by an Engineer-in-Chief with 7 zonal Chief Engineers. At present the regular staff strength of PWD Delhi is 3292 including technical officials. Customarily all post of PWD, Delhi are encadred posts of CPWD and are controlled by Ministry of Urban Development & Poverty Alleviation, Govt. of India.